Savvy Rest carries an entire line of organic pillows and mattresses in order to ensure your health and the planet's health. When I told my family that we would be getting a new organic pillow, my husband suddenly told me that he had been wanting a new pillow! 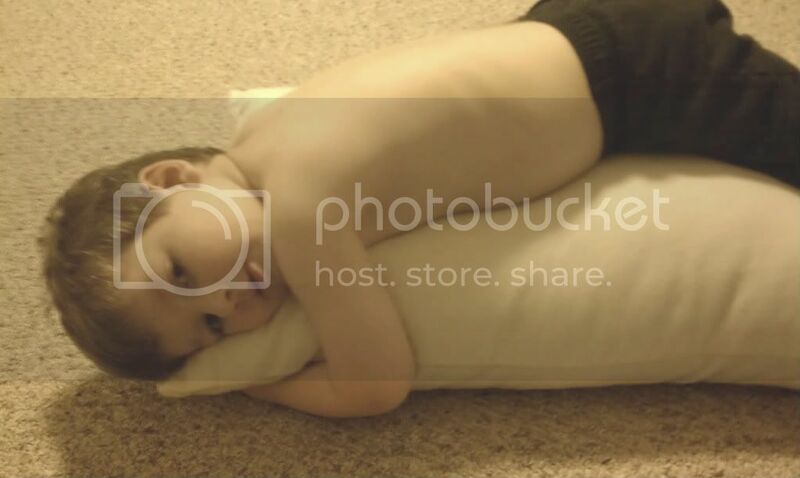 When the pillow arrived, my toddler proclaimed that he would be sleeping with it that night! (See picture.) Clearly they were fans. 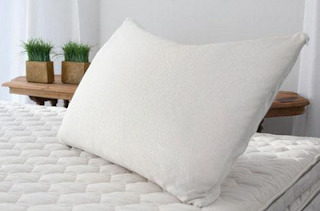 At Savvy Rest, their natural and organic pillows are available in latex or wool varieties. I chose the shredded latex pillow because it is customizable! The natural shredded latex pillow comes overstuffed so that the individual can choose how dense or fluffy they need their pillow to be. I am a stomach sleeper, so my son and I removed a lot of the latex (and stored the extra, just in case later my side-sleeper husband needs this pillow). I love how the stuffing is still so bouncy, yet has more give and squishability. I am truly enjoying this pillow. In addition to the customizability, the fact that these pillows are natural, organic latex, surrounded by soft organic cotton casings, is wonderful! I am so happy to be able to escape the harsh chemicals and products that are in regular pillows. Resting, sleeping, and relaxing are even better now with my organic pillow from Savvy Rest! Please visit their website if you are looking for a natural mattress, organic pillows, organic bedding and organic bedding accessories. You can also "Like" Savvy Rest on Facebook and add Savvy Rest on Google+ to your circles! I am sure you'll be excited by what you find! One final thing about Savvy Rest that really impressed me was their commitment to purity, comfort, integrity, and value. It's not often that a company is known for their integrity and I want to commend them on this. Good job, Savvy Rest! Please note that Savvy Rest provided me with the item to review free of charge, however this review is my own honest opinion of the product.